A rail company is facing calls to change its “reprehensible and unsupportable” attitude to disabled passengers, after one of its guards threatened to throw a woman off a train because she was using a mobility scooter. 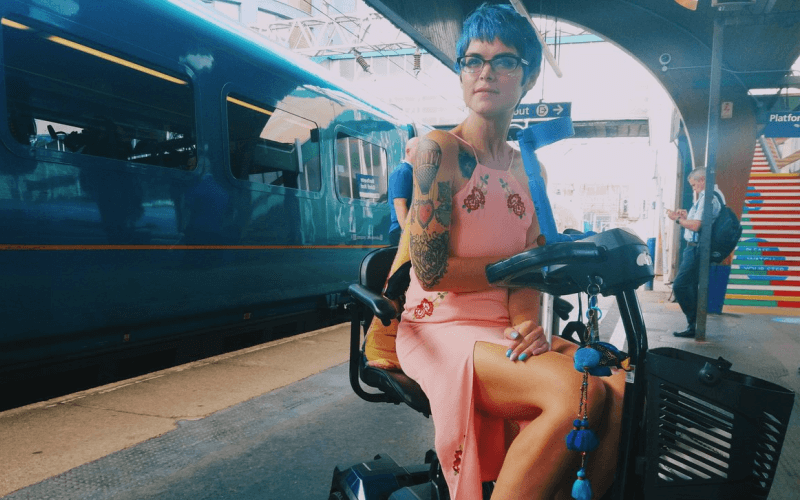 Sara Harvey was on the way to a wedding with her husband Liam and had boarded a Northern Rail service to Bolton in her scooter – with the assistance of station staff – when a guard told her she would have to leave the train because the company did not allow any scooters on its services. The company’s policy is that it does not allow mobility scooters on its trains – in contrast with many other companies, which do allow some scooters – unless they are “folded down before you board, and carried on like luggage”. Harvey, who is autistic and has a physical impairment, and campaigns as Agony Autie, filmed the altercation with the guard and live-streamed it on Facebook. She told the guard that she had booked assistance, and had already travelled by train from Chester to Manchester Oxford Road, and had been clear when buying her ticket that she uses a scooter. She has previously travelled problem-free with her scooter with Arriva Trains Wales and Virgin. She was eventually allowed to continue with her journey, after support from fellow passengers, some of whom threatened to leave the train with her if she was thrown off. Harvey (pictured before the incident) told Disability News Service today (Thursday) that the Northern executives responsible for drawing up the company’s scooter policy had “done nothing but cause harm and pain” and that it “emboldens their staff to be hostile”. She is now set to meet Northern to discuss what happened but says she has not been told yet how to make a formal complaint and fears that she is “being manipulated” by the company. She said Northern was only paying attention to the issue now because of the media coverage of the incident. She said: “It happens all the time on their trains. The difference is that this went viral and hit the mainstream media. “They put people in distress every day. With this, the difference is the public could see my distress. If my distress wasn’t filmed, they wouldn’t care. “I told them: you have treated me like the scum of the earth because I am differently abled to you. Harvey said Northern needed to “inject a good deal of common sense” into their policies and practices as well as “empathy and compassion training”. She said: “At the moment they see us as slow, we take up too much of their time. “They see it as we make their jobs difficult, but these are our lives and every time they see us as slow and every time they think we make their jobs difficult, they need to be taught that those feelings are ableist. “People need to be self-aware that you can’t hate on someone who is differently abled from you because they are slower or you see them as a burden. Harvey said she had a “full-blown meltdown” the day after the incident, once she had returned home. The incident, which caused widespread anger and frustration among disabled campaigners, came only weeks after comedian Tanyalee Davis was reduced to tears after being publicly “shamed” by a train guard with another company who forced her to move her mobility scooter to make way for a mother with a baby buggy. Accessible transport campaigner Doug Paulley has been calling on the regulator, the Office of Road and Rail (ORR), to act on Northern’s blanket ban on mobility scooters for more than seven months. Northern launched a pilot scheme last September, allowing some scooters to use services on a limited part of its network. Paulley said ORR had raised the issue of the Northern ban on scooters in a June 2017 letter approving the company’s Disabled People’s Protection Policy (DPPP). The letter noted the pilot scheme but warned that ORR remained “concerned that your policy for travel on the rest of your network remains more restrictive than that of other operators”. 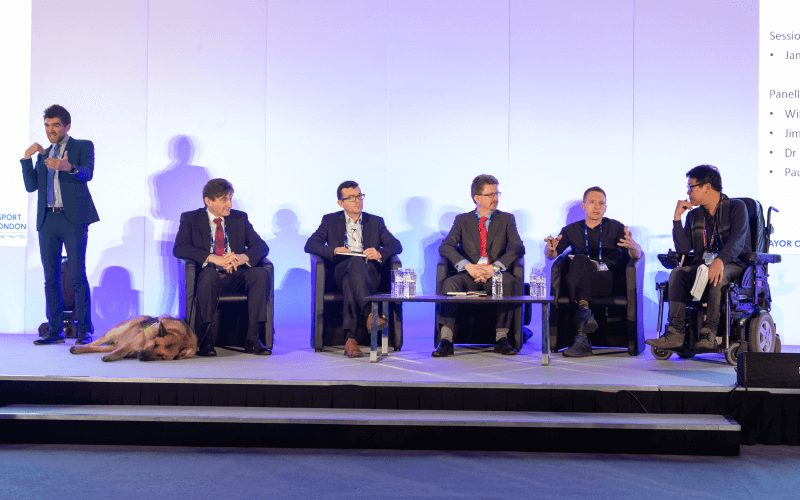 Paulley – a member of the Northern/TransPennine/Hull Trains combined inclusivity forum of disabled lobbyists, although not speaking on their behalf – said there had been no sign of Northern extending this pilot scheme. 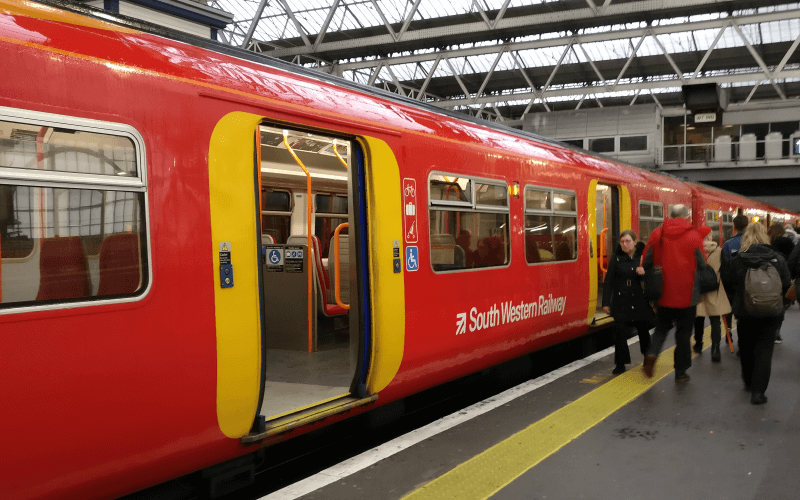 He said the company used the same trains as other companies which had “less restrictive scooter policies” and added: “They are out of step with the industry and the regulator. Northern had failed to answer questions about its scooter policy by noon today but issued the following statement: “We are truly sorry to the customer for her unacceptable experience travelling with Northern and the distress it caused. An ORR spokesman said it was encouraging Northern to extend its pilot scheme across its network. He said that some train companies face “challenges” with carrying scooters, such as the size of carriages and the width of platforms, and “foremost consideration must be the safety of both the passenger and staff assisting them”. But he added: “We have been in regular contact with Northern about its scooter pilot and scooter card scheme since we approved its DPPP last year. “Although the geographical area of the pilot is limited, we understand that it has enabled some passengers to now travel on their network who previously were unable to do so. “Northern is continuing to work to enable passengers with mobility scooters to travel as much as possible on their network, within the constraints mentioned above. He said ORR was also reviewing its guidance on writing DPPPs and would consult on proposals to update it later this year, including whether there should be any changes to requirements on carrying mobility scooters and other mobility aids. The Department for Transport (DfT) declined to say what action it was taking to address the uncertainty and distress caused to scooter-users by the range of policies operated by different rail companies. But a DfT spokeswoman said in a statement: “It is vital that all passengers, including disabled passengers, can feel confident when using public transport. “This is why the department has published an Inclusive Transport Strategy that will make the entire network more accessible by 2030. “It is right that the operator has apologised for the way this passenger was treated.